Geometry can be tons of fun, especially in the lower grades. The resources are usually bright and colorful, sometimes with smiley faces and the concepts are relatively easy to learn. So, get out your attribute blocks, pencils, crayons and your thinking caps! 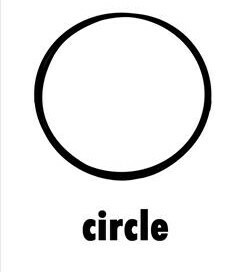 You can circle shapes, create shapes, and make things out of shapes. 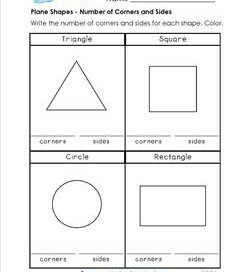 Of course, kids need to identify and describe shapes (number of sides and corners!) which are also just as important. 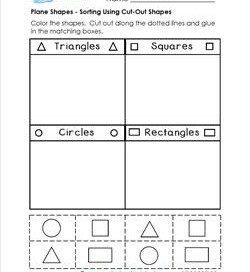 This worksheet gives kids the opportunity to identify the shape word and match it to the shape. Then they get to practice drawing the shape. And don’t forget to color! 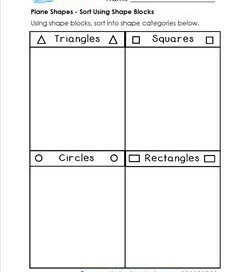 In this plane shapes worksheet, kids count and write the number of corners and sides on the lines underneath each shape. Coloring is advised! 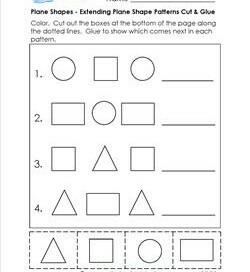 This shapes worksheet is pretty straight forward. 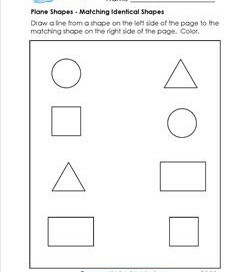 Draw a line from a shape on the left side of the page to the matching shape on the right side. Color. Color the shapes at the bottom of the page. Cut out along the dotted lines and glue the shapes in the matching boxes. Two shapes per box. Attribute blocks are needed for this worksheet. Sort the blocks and then place them in the matching box. Then draw the shape or trace it. Color. Attribute blocks won’t work with this page. You’ll need shape blocks with circles. Sort the shapes & place in the matching box. Draw & color! 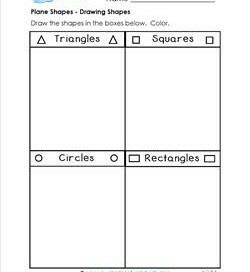 In this plane shapes worksheet kids color, cut and glue to show which comes next in each pattern. These are pretty simple AB patterns. 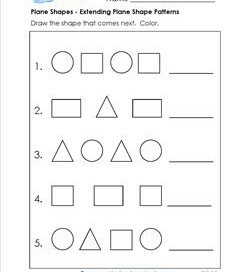 The focus is on identifying and saying the name of each shape. Draw the shape that comes next. Color. 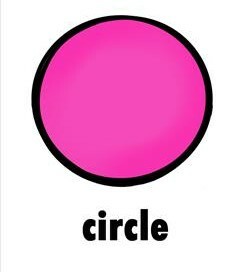 Big & round & empty, this black & white plane shape card of a circle can be left blank or filled in with any color of your choice, using any medium. As is, it’s easy on the printer ink! What a cheerful smile! I think that makes my day! Make your kids smile, too with this awesome hot pink circle shape card. Color your classroom walls with this plane shape. 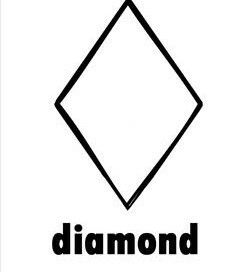 A black and white diamond plane shape card, crisp and clean for those who like things simple. 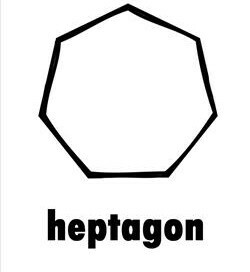 Not a shape that is required to learn in kindergarten, but then again, why not? 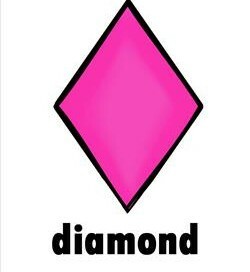 It’s just a like a diamond to make you gasp and say, “I’ve got to have one!” Well, maybe that’s a bit of a stretch for this plane shape diamond shape card … but it doesn’t have to be! Now here’s a good one for ya’ – what do you call a plane shape with 7 sides? You got it! 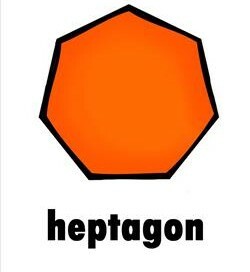 A heptagon. This one is a bit of a challenge for adults, so it will be a challenge for kids, too.